The new Yaz lawsuit was filed in the multidistrict litigation now underway in U.S. District Court, Southern District of Illinois. Nearly 10,000 lawsuits claiming the Yaz and Yasmin birth control pills caused users to suffer blood clots, deep vein thrombosis, pulmonary embolism, heart attack, stroke and gallbladder disease are pending in the litigation. According to a recent report from the Madison Record, lawsuits in the federal Yaz and Yasmin litigation have been settling at a consistent rate this year, with 1,500 claims settled so far. 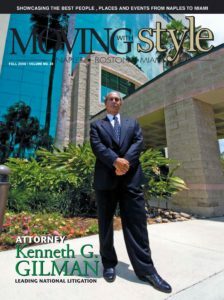 Most of the settled lawsuits involve blood clot injuries, with settlements averaging more than $200,000 per case. Court officials told the Madison Record that they expect most Yaz and Yasmin lawsuits to be settled within the year. 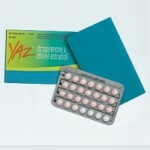 Yaz and Yasmin contain a fourth-generation, synthetic progestin called drospirenone. According to the lawsuit filed by Gilman Law LLP, this form of progestin is associated with hyperkalemia, a condition that occurs when potassium levels in the body become too high. Among other things, hyperkalemia can disrupt normal heart rhythms, which can potentially slow the flow of blood to the heart to the point that blood clots form. The U.S. Food & Drug Administration (FDA) announced in April 2012 that it was requiring that the labels for drospirenone birth control pills be updated to warn that these contraceptives may be linked to a higher risk of blood clots. Several studies have linked drospirenone birth control pills to a higher risk of blood clots, including an FDA-commissioned study released in October 2011, which found drugs like Yaz and Yasmin could increase the risk of blood clots, deep vein thrombosis and pulmonary embolism by as much as 74%. A report released by the Institute for Safe Medicine Practices in May revealed that together, Yaz and Yasmin were named in 8,000 adverse event reports to the FDA in 2011, ranking them second among all medications. The lawsuit filed by Gilman Law LLP alleges that the Plaintiff’s injuries were caused by the wrongful acts, omissions, and fraudulent misrepresentations of Bayer and other Defendants. Among other things, the complaint points out that the Defendants have been warned at least three times by the FDA for misleading the public through the use of ads which overstated the efficacy of Yaz and minimized serious risks associated with the drug. Ultimately, Bayer agreed to spend at least $20 million on corrective TV advertisements and to submit all Yaz advertisements to the FDA for advanced screening for six years. The complaint alleges that had the Defendants properly disclosed risks associated with Yaz, the Plaintiff would not have used it and would not have suffered the serious and permanent injuries described in the lawsuit. Gilman Law LLP is still offering free legal consultations to Yaz and Yasmin victims nationwide who suffered blood clots, deep vein thrombosis, pulmonary embolism, heart attacks, strokes or gallbladder disease. Considering how quickly Yaz and Yasmin lawsuits are being settled, potential plaintiffs should contact the firm immediately. Once the Yaz and Yasmin litigation is resolved, victims who haven’t filed suit will be unable to recover damages for their injuries. 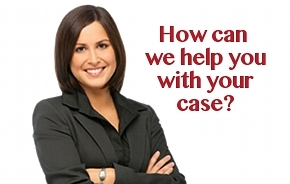 Free consultations are available by Completing Our Free Yaz, Yasmin Consultation Form, or call Toll Free at 1-888-252-0048.